When you have hungry guests and big goals for your next big holiday party in the Detroit, Michigan area, Let David Graham Events do the cooking. At an event catered by us, your employees’ hunger will be more than satisfied and our delectable and varied menu will keep guests satiated and enjoying themselves all night at your company’s event. We make it easy for you to have fun at the event, too, as we take it upon ourselves to provide a custom-tailored meal leaving everyone impressed with both the food and atmosphere. 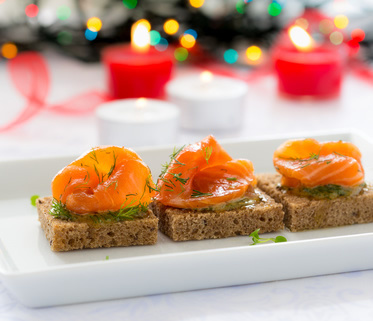 Our Holiday catering menu offers a variety of choices for all kinds of holiday parties. Whether you want a traditional dinner with turkey or ham, or something more adventurous like a pig roast, David Graham Events has great food options to make your holiday party a hit. We also offer tables, chairs, and other party essentials depending on the venue you choose for your event. If you need a Detroit, Michigan area catering company for your holiday party, contact David Graham Events for more information about our menu begin planning your next successful holiday celebration!